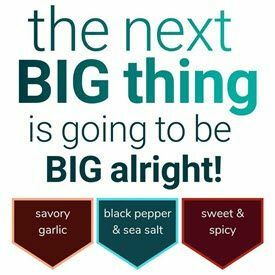 In searching for new jerky, sometimes you get lucky, and find locally made jerky. In 2010 that was the case when visiting Oxnard, Ventura County, California. 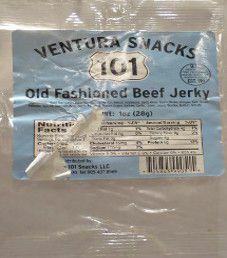 At a convenience store, I purchased a 1 ounce/28 gram bag of Old Fashioned flavor of the Ventura 101 Snacks jerky brand name.